"It's virtually impossible to win in India in the modern game so it was an incredible achievement. Cook scored three consecutive hundreds and set up the series beautifully." Michael Atherton believes Alastair Cook's finest achievement for England was helping the side to a Test series win in India in 2012. Cook, who has announced he will retire from international cricket after this week's Oval Test, scored three centuries in India six years ago while captaining the team as England came from 1-0 down to win 2-1 and record their first victory in the country since 1984-85. The result represented India's first defeat in a home Test series since losing to Australia in 2004, while they have not been beaten in their own nation since going down to Cook's squad six years ago. 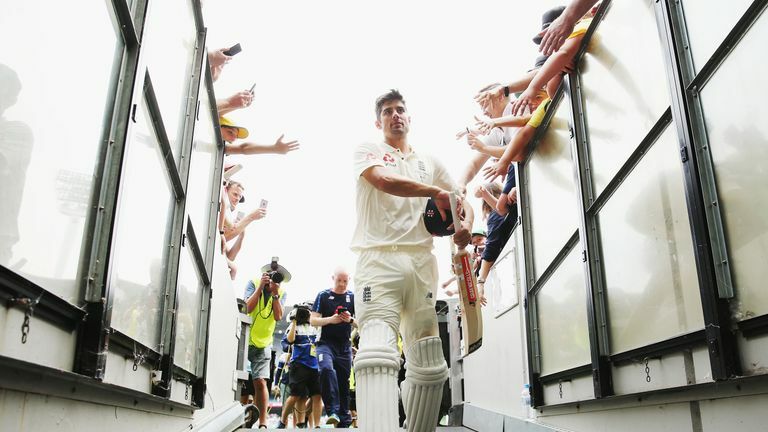 "I would say India in 2012," said former England skipper Atherton when asked about Cook's finest accolade. "It's virtually impossible to win there in the modern game so it was an incredible achievement. "The last time they went there under Cook's captaincy they were walloped [4-0 in 2016] but the time before they won a four-match series. Cook scored three consecutive hundreds and set up the series beautifully." Cook, 33, has scored an England-record 12,254 runs and 32 centuries in his 160 Tests to date having struck a hundred on debut in India in Nagpur in 2006. 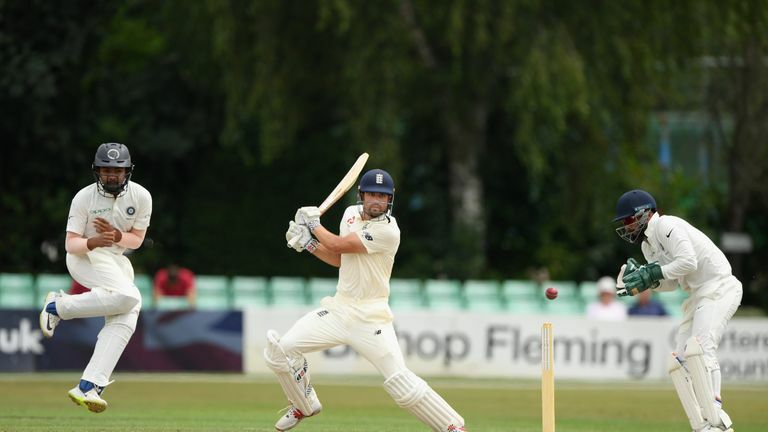 "With 12,000 runs and 32 hundreds, that puts him, then daylight, and then everyone else from England below," added Atherton on Sky Sports News. "He was a top-class all-round player - he averaged over 50 in Asia with nine hundreds, he could play spin and he was also a top-class player of pace bowling, square cutting and pulling. "I can only ever remember him being hit on the helmet once by a fast bowler, which is a phenomenal thing facing pace day in, day out, while he is also the only man with two of the top 10 longest Test innings to be played." 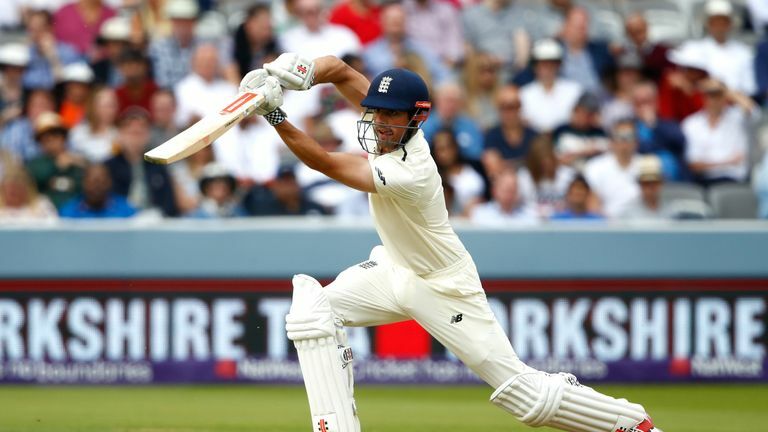 Sky Sports Cricket's Nasser Hussain described Cook as England's greatest-ever batsman and while Atherton says it is difficult to rank players from different eras and parts of the order, he says the retiring left-hander will be remembered as one of his country's finest openers. Nasser Hussain has hailed Cook as England's mentally-toughest cricketer and greatest-ever batsman. "It is hard to compare Cook with, say, a middle-order batsman like Kevin Pietersen, who was very flamboyant, a great stylist, quick scorer but he'd be up there as England's greatest opening batsman. "Every time you go out it is 0-0, the ball is hard and new, the seam is proud and the bowlers and fielders are optimistic and chirpy - it's the toughest place to bat. In the end, there is only so much you can give." Watch day one of the fifth Test, Cook's last, live from 10am on Friday on Sky Sports Cricket (channel 404) and Main Event (channel 401).